Wondering how our Guide Dogs are doing? Yannah and Yuri, are 6 months old already! Time flies when you have puppies to train. 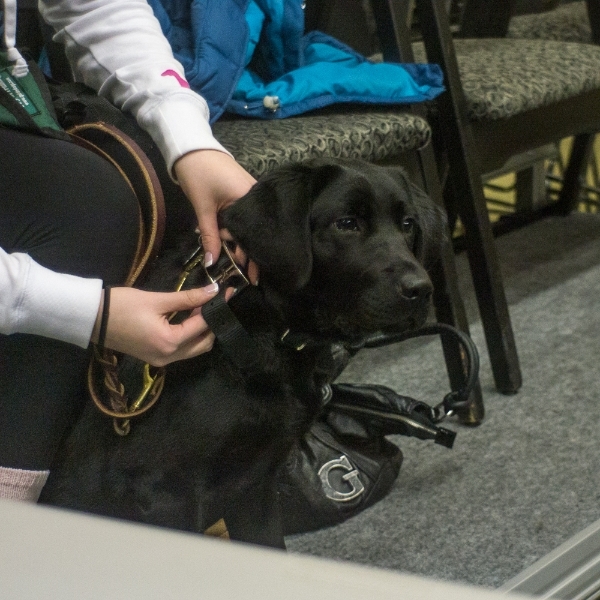 The pups recently had their first quarterly evaluation with Guide Dogs For The Blind. 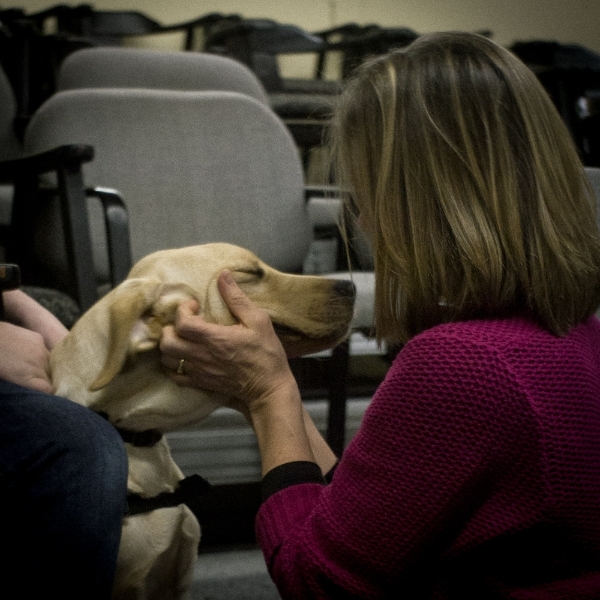 The evaluation looked at their basic obedience skills, behavior in public and also a questionnaire about their behavior in the home. This training took place in a both a cafe and downtown Woodinville. The puppies are progressing along nicely and they are learning a lot! Their next 6 months will be working on more advanced obedience skills, and longer outings in busier places (like malls and busy parks). How are the puppies spending their days? 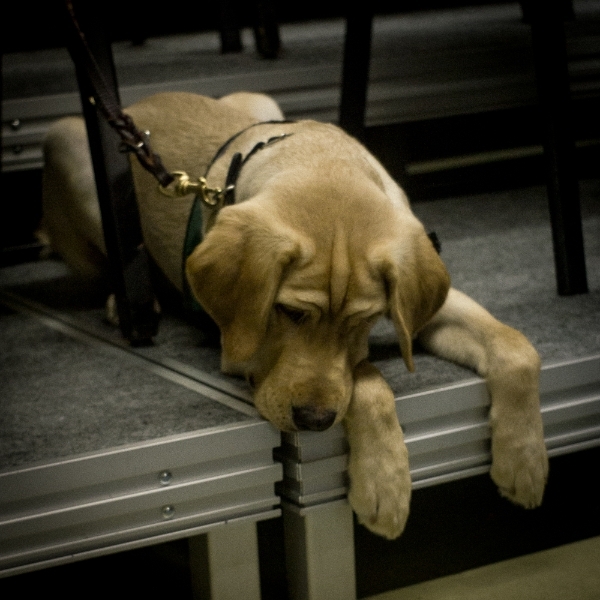 The puppies spend their school day getting lots of attention and learning good manners. Being at a school provides a perfect atmosphere for impulse control because there are always students walking past. The students are learning they have their work cut out for them. Time management is a very important skill they have been learning. Puppies need to have a schedule so they know when they will have potty breaks, that way they can avoid accidents. Balancing school, outside activities and puppy raising takes practice too. Being responsible for another living being is not easy. 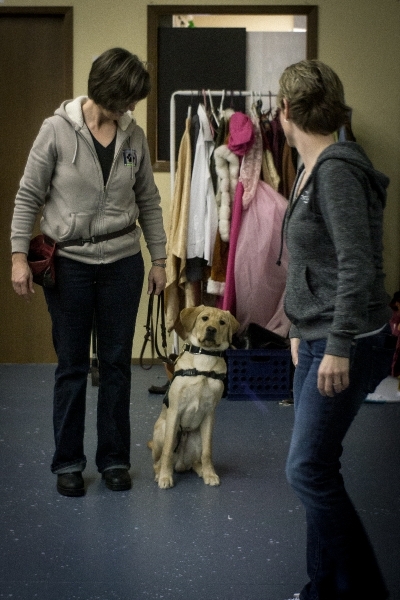 Although this class is hard work, our puppy trainers are enjoying it. They are doing a great job! 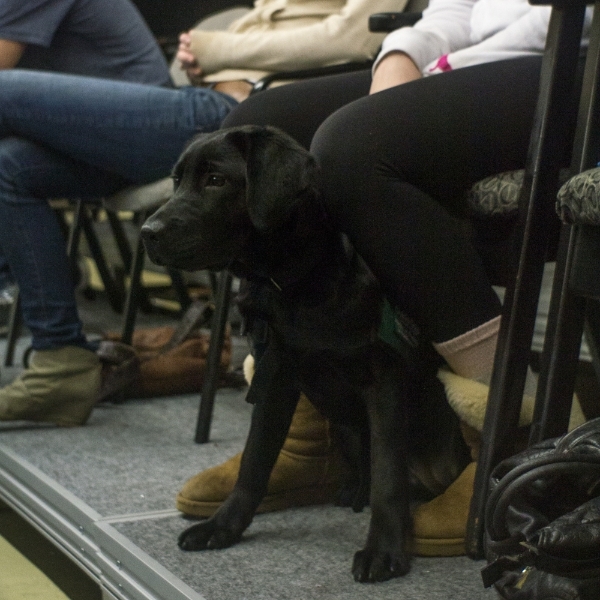 We hope to add more puppies to our program in the coming year, so let us know if you’d be interested in raising a Guide Dog puppy!